White in Winter is pretty cool to try! 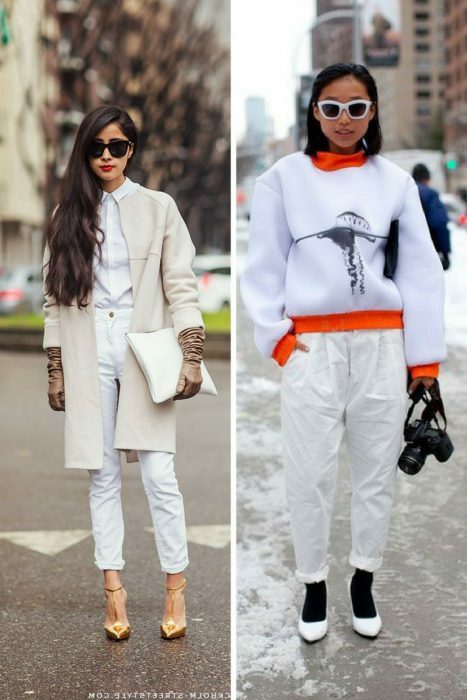 In this blog post, I want to show you best outfit ideas complemented with white clothes that are great to try this Winter. 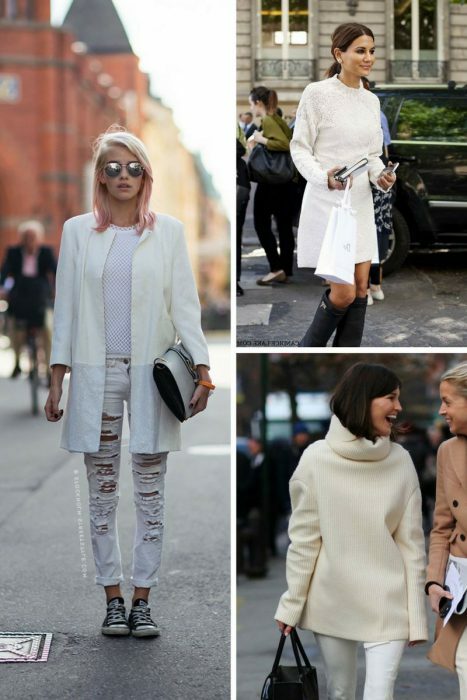 White trend is nothing new, but I am pretty sure, everyone wants to create that one and only pure clean look to make a wow statement on the streets or anywhere else. It’s like feeling a timeless tidiness on yourself, or having pure white teeth! I am sure every lady dreams to have such a bold look. 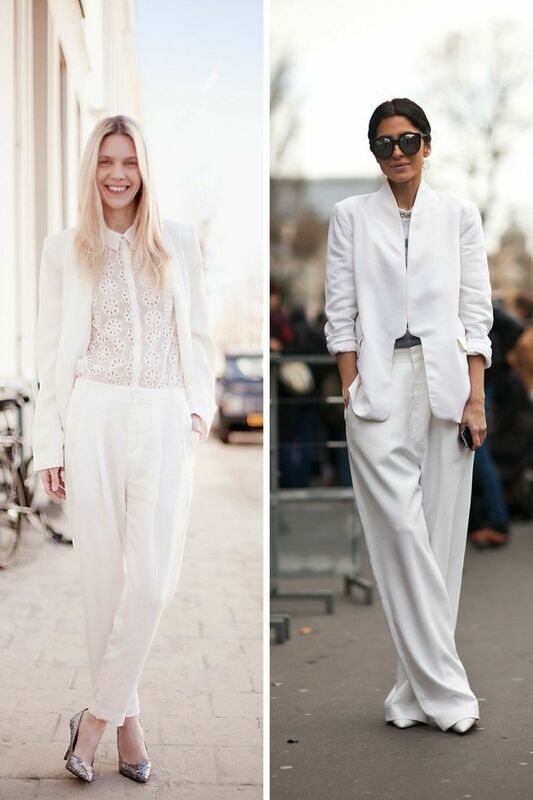 I am not saying to go ALL WHITE, but give a try to a white coat, white trousers, suit or a dress. Why do women love this look so much? White is all about luxury and elegance, so you definitely should give it a try! It screams rich and feminine. I do love to see white clothes in classy and sophisticated look. Sure, you better have balls to give such a look a try during Winter time. Someone can find this outfit to look fashion faux pas, but for real fashionistas, it’s just another great appearance. As I have already mentioned, all white is possible, but you better feel confident to give it a try. 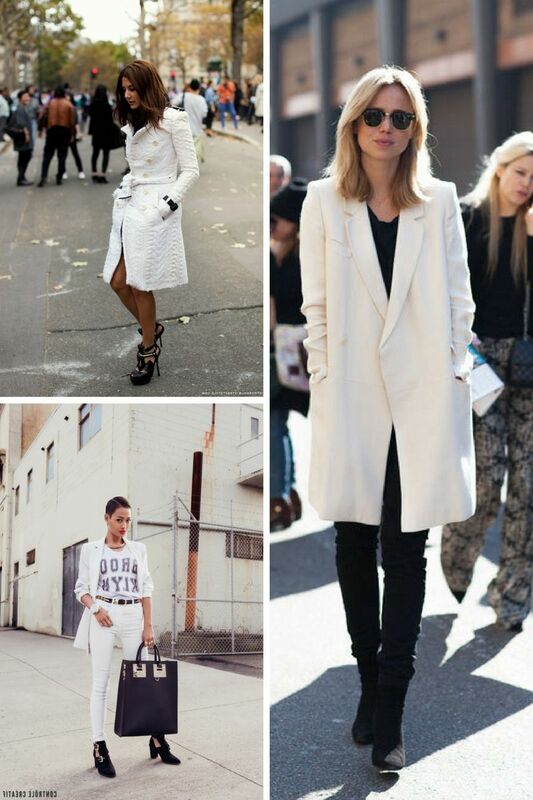 I do love to see women in white coats, white leather jackets teamed with white skinnies or tailored trousers, skirts or dresses. Complete all white with black shoes. Such footwear will break the monotony and make things look less snowy and sophisticated. I personally suggest you start from just a little bit of white. 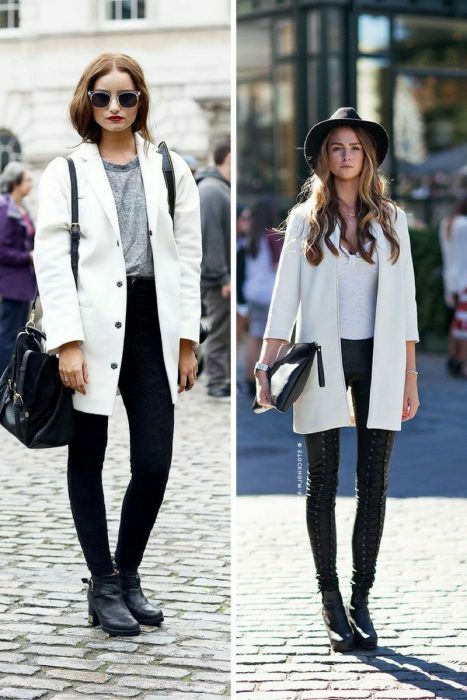 Start with little pieces, like bags, shoes, hats and then you can easily integrate white coats or jackets. One white piece looks awesome teamed with black or dark colored garment. By the way, black and white is a classic combo, but it still looks amazing. So, what you think of this trend? Hot or not?